Almost 90% of people with type 2 diabetes are overweight or obese. Having large amounts of fat, can mean that the body cells are put under higher amounts of stress. Specifically, being obese, causes excess pressure on the network of membranes inside cells, within the endoplasmic reticulum. 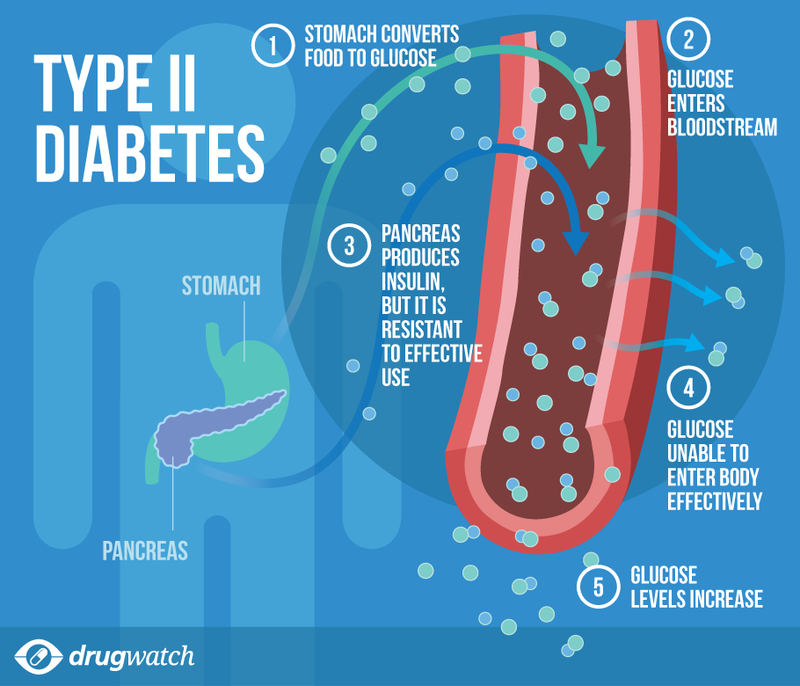 Insulin is the hormone produced in the β cells of the pancreas and controlled by the pituitary gland and it allows sugar from carbohydrates to enter cells, in essence is regulates the blood glucose level. In the event of high blood sugar level insulin is secreted. It stimulates the uptake of excess glucose by the liver, which is stored as glycogen. Fat cells convert glucose into glycerol, meaning that there is less glucose within the bloodstream. When the receptors on the endoplasmic reticulum, sense more nutrients that it can handle, it sends an impulse to the hypothalamus to reduce the ability of insulin receptors, which when it is a frequent occurrence, results in insulin resistance. Consequently, the cells within the body do not respond to the insulin and have difficulty in absorbing the glucose. The pancreas, in response produces more unresponsive insulin, in some cases the pancreas is over worked and thus secretes less or no insulin. Some of the symptoms include hyperglycemia results in slow healing in terms of cuts and wounds, due to high glucose levels stiffening blood vessels, meaning blood flows less easily. This means the ability of oxygen and nutrients to get to the damage site is reduced. Diabetics also have a less effective immune system due to the production of enzymes and hormones. Dehydration and constant urination are also associated with having diabetes. The excess glucose is instead flushed out in the urine, where to replace the water lost, homeostasis allows for an increase in water intake as the body becomes dehydrated. Furthermore, the optimum conditions for fungal growth are provided in the glucose rich urine, causing issues around genitalia e.g. thrush. A WordPress Commenter on Welcome to my Medicine blog!